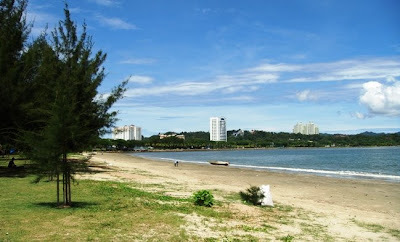 Taman Awam Teluk Likas, also known as Likas Bay Park is located along Tun Fuad Stephen road stretching from near Tanjung Lipat to Likas bay. 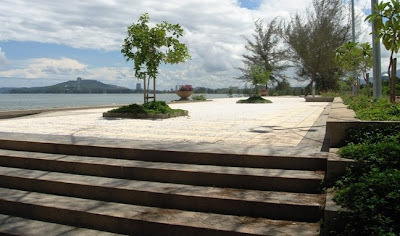 This is a seafront recreational park, officially opened to the public in December 2008. 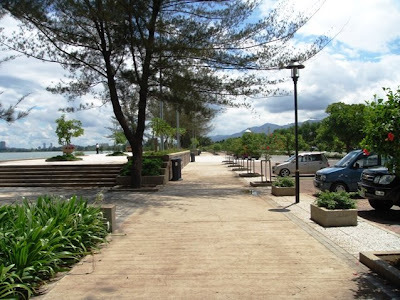 The Government spent about RM4mil to build the park which boasts of facilities such as children's playground, fitness station, nicely paved pedestrian pathway, plaza, gazebos (resting huts), public toilet and car parks. 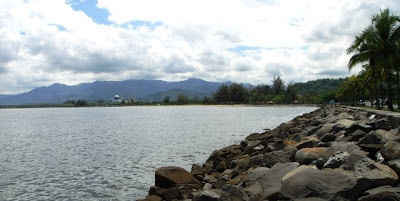 With the kind of facilities, participants of the popular Sabah Dragon Boat Race and spectators alike will expect better organising and have more fun this year. 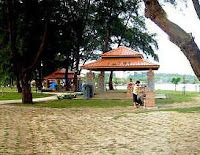 Bird lovers would find this park a place to rest before going on foot to the nearby bird sanctuary. 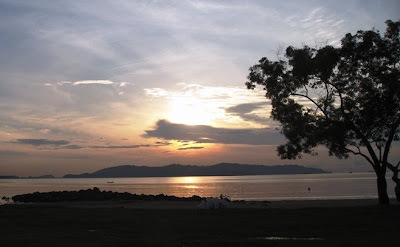 Likas bay is known to be resting place for migrating waders and other water birds. 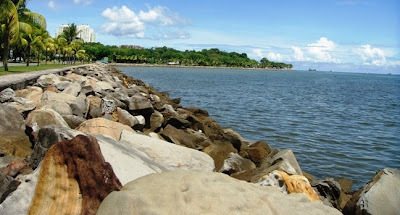 Picnickers usually throng this park on weekends and I have, on one occasion seen a considerably large number of people taking dip at the beach in an apparently bad luck ridding ritual. I asked around and found out that they are from the Bajau Suluk ethnic group and they are known to have carried this on from generations. People come here for many reasons, so it is not my prerogative to judge anyone. During weekdays the park is not too crowded and is just nice for people who just want to spend some quiet time sitting around with nice seafront view. Ideal for practicing yoga.